Two Twelve Medical Center is a 15.7-acre site located in the northeast quadrant of Highway 41 and Highway 212 in Chaska, MN. It is a 6 story, 220,000 square foot medical facility with 950 surface parking stalls, helipad and ambulance bay. The project was a public-private partnership between the City of Chaska, Ridgeview Medical Center and the developer. 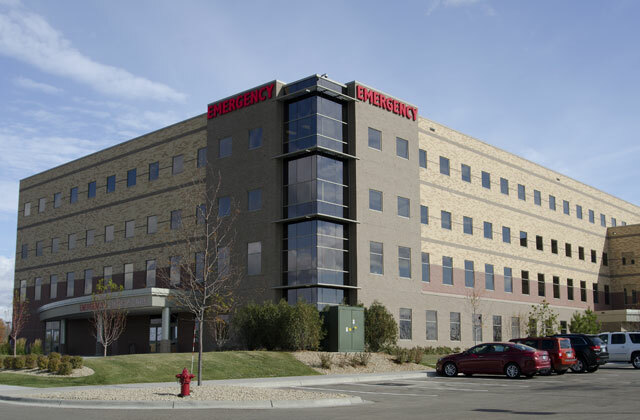 It is the only 24-hour free-standing emergency department in the State of Minnesota. Alliant did the site planning, site grading, hydrologic design, and agency/developer coordination. We developed multiple concept plans that lead to the final plan and hydrologic engineering, which required the design of a large regional ponding facility that includes an infiltration element and the restoration of downstream eroded ravine. The project required coordination with two developers and permit reviews from the city, county, state, and federal agencies.